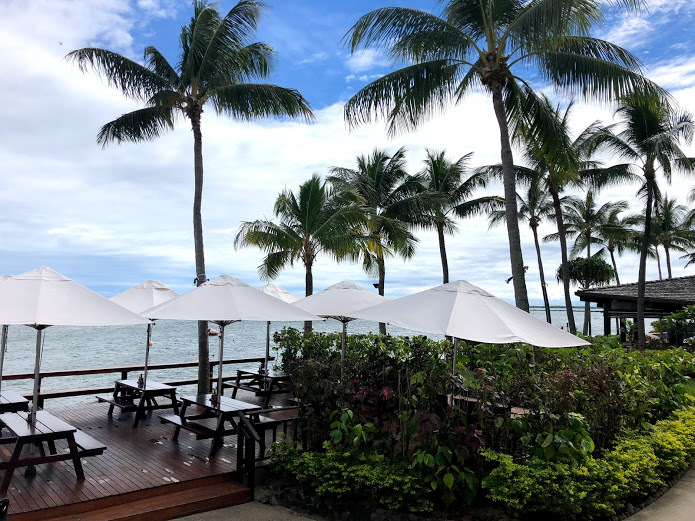 Fiji has always been a great holiday destination for so many Australian families, it is so close in proximity, has great weather year round and the locals are always so welcoming. We talk to Sanford Travel’s Managing Director, Georgina Byrt on why Fiji has been a family favourite over the years. Why would you recommend Fiji as a top family holiday destination? I have always enjoyed traveling to Fiji since my daughter was only 12 months old. My husband and I feel it is the best all round holiday. A time to reconnect as a couple, with the trustie kids club or nannies. We have used the same nanny for the past 8 years when staying at Blu Radisson. We have a great time with the kids, playing around the pool, on the beach and getting on the Bula Bus. It really is a holiday to recharge the batteries, fall in love again and dote on your kids. Also, great for the extended family to come along which we have also done a few times. You often stay at the Blu Radisson in Denarau, what are the best aspects of this hotel? We have stayed at a few different hotels in Denarau and keep coming back to the Blu Radisson. We personally don’t love the kids in the same room as us, so having the 1 bedroom option, or 2 bedroom interconnecting option is fantastic. It also works having a kitchen especially when you have young ones to prepare bottles and have plenty of fridge space. We also feel it has the best kids club on Denarau Island. You don’t even have to send your kids to the club, there are activities for the entire family all day long around the pool and beachside. Not to mention the great water slide! I also love staying on Denarau as you are not restricted to just staying in the hotel and can go and eat at other hotels or the marina. What activities do the kids get up to on the holiday? As I have mentioned above, the nannies are fantastic and are an extension of our family. We have got to know them so well over the years. The kids love playing with the Kids Club staff around the pool by day and participating in the night time activities, such as frog hunting and then racing the frogs, discos and lizard hunting. Not to mention the daily torch lighting, which my kids love to do time and time again.